The City of Seaside is an ocean-side community that overlooks the beautiful Monterey Bay on the Central Coast of California, approximately 115 miles south of San Francisco. California State University at Monterey Bay and the Monterey College of Law are located in the City of Seaside, providing students of all ages a scenic environment to pursue their educational goals. 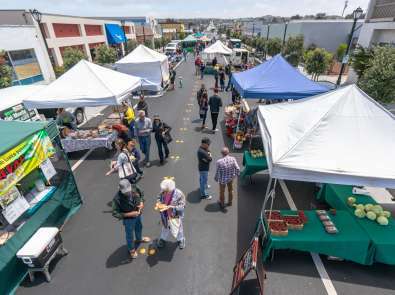 Seaside Certified Farmer's Market-Saturdays on Broadway!